A big, warm hug to Kim at Invited By Grace for nominating Simply For One for the Liebster Award! It’s been a joy getting to know Kim and following her vibrant and honest stories of faith, life, and mommy-hood. She shares her heart with transparency and vulnerability and I know you will enjoy her blog as much as I have. Please go check her out! 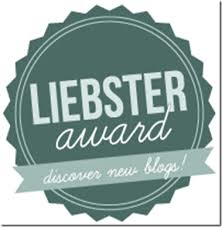 The Liebster Award is an award given by bloggers for bloggers. It’s an extension of the “Sharing is Caring” principle and helps draw attention to relatively new blogs – a way of paying forward the blogging love. It’s also a really great way to get to know more about the people who write what you read. Liebster is a German word with meanings such as dearest, sweetest, kindest, lovely, and valued. I don’t know about you, but I’m humbled and overjoyed to be affiliated with any of those words and delighted to not only share my blog, but point to a few of my favorites that are deserving of this same recognition. Nominate 5 other bloggers who you believe deserve the award and who have less than 200 followers. Answer the questions asked by the person nominating you and ask 5 questions of your nominees. I speak fluent Farsi. While I’m a SoCal girl, born and raised, my mom is from Iran. I’m a half-breed. :) Thanks to some early training from my grandparents, I can speak the native tongue. No reading or writing, just conversational speech. It’s getting harder to remember these days, but I’ve been told I can hold my own with a very obvious American accent. I’m a private person. Says the girl who blogs her innermost thoughts. I tend to be one who will tell you “I’m fine” while I carry the weight of the world on my shoulders. I share my heart with a select few – the ones who have proven that they will guard it. I’m a recovering people-pleasing perfectionist, so putting my “stuff” out there isn’t easy. I’m still just the girl who wants to be liked and accepted. I have a secret junk food stash. Yup, a high shelf in the pantry where I hide my favorite indulgences and guilty pleasures. You know, the few things just for me that I don’t want to share (but will, if you ask nicely). Right now you’ll find Werther’s Caramel Popcorn, Green Apple Licorice, and Dark Chocolate Covered Berries. I have a work-in-progress. I’m holding this one kind of close to the cuff (see #2), but I write in addition to the blog. So far, it’s been like a 24-month pregnancy with ongoing contractions, Lamaze breathing, and no epidural. I’ve been stretched in ways I could not even begin to imagine. God has called me to this work and He asks me to believe Him for it and to be brave every. single. day. Why do you blog? I was at a point in my life when I was surrounded by a cookie-cutter, pray and tie life with a pretty ribbon, and your troubles will be washed away mentality. That’s not my life. God hasn’t made me all neat and tidy – I’m emotional and prone to tear things apart in order to understand them – this after I worry over them. I was craving tangible, practical, applicable – real truth rooted in God’s word. I figured if I wanted it, other people wanted it too. I want to share all the facets of faith so that the world can see that Christians aren’t perfect, just perfectly dependent on Jesus. “Life is messy, but God is greater. Being His isn’t always easy, but it’s worth it” – that’s the tagline. What would a perfect day look like for you? Cloudy with a sprinkling of rain, a roaring fire, a cozy couch with a warm throw, a cup of hot chocolate, a sweet treat, and a Hallmark movie or good book. Call me happy! What is one of your favorite childhood past-times? As an only child, I had a vivid imagination and was a self-entertainer. We had a closed in garage and I would set up Barbie land – complete with the 3-story Dreamhouse, Corvette, Barbie transitioning from her business suit into her wedding dress and Ken in his tux. They got married, a lot! Always have been a sucker for a good happily ever after. What is a secret talent you have? I can do a taco tongue – does that count? :) Don’t know if it’s a talent, but I love to dance and sing. I can do neither well, but it hasn’t stopped me from spontaneous dance parties and worshiping at the top of my lungs, when no one is looking, of course. If you could travel anywhere, where would you go? And why? Just this past year I fulfilled a dream to visit New York City – loved that and would definitely go there again to explore rather than just cover the must see sites. I love any place tropical so Hawaii, Fiji, the Caribbean – white sands, clear skies, crystal blue water – need I say more? Fearfully Made Mom – Abby was one of the first “faith” bloggers to comment on one of my posts. I also credit her with sending me on the quest to join the blogging community at Five Minute Friday. Abby is a wife, mom, and a gifted writer who shares her words generously. She loves the Lord and her light shines…bright! I want to chat with her in my living room over coffee, that’s how much I like her. Full.Wild.Free – Nicole is a girl after my own heart! Her posts are encouraging, inspiring and she doesn’t hold back. She loves God and His word and has a gift for sharing both with honesty. Faith in Plain Sight – Mollie is a single mom who shares her faith with great authenticity. Her words are evidence that she truly does live her faith out everyday and she is not ashamed to share both her joys and struggles. Vulnerable Prayers – Kortney has a passion for God’s word and is clearly a student of it. She has a gift for taking scripture and making it applicable and relevant to everyday life. She’s also a busy mom who proves that God is in the midst of our everyday moments. Grace Glimmers – Jennifer is a woman who relishes in God’s grace. I first discovered her when I read her post 12 Ways to Liven Up Your Marriage. Her practical and wise words resonated with me. She also has an amazing sense of humor and her perspective on motherhood and the ups and downs of life are refreshing and real. Dear Nominees: You are each deserving of this award, but your participation is voluntary. 2. Where does your inspiration come from for your blog posts? 3. Share a favorite scripture or quote that encourages/inspires you. 4. What is your guilty pleasure (food, book, TV show, etc.)? 5. If you could meet one person and ask them one question – who & what? Thanks for indulging me, sweet readers! This was a thought-provoking and stretching experience in its own right. I’ve enjoyed sharing a little bit about myself with you and I’m so grateful to you for faithfully following along on my journey. Please take a minute to visit some of my favorite blogs. If you like what you read, do let them know and follow them – it makes us bloggers smile. Hi Tiffany! I finally got around to posting the Liebster Award! Here it is http://vulnerableprayers.wordpress.com/2014/11/03/liebster-award/ Thank you again for nominating me!!!! Yay, Kortney! I loved learning more about you and I cant wait to check out your favorite blogs. Blessings! Oh thank you so much for the nomination Tiffany! I will try to get this posted next week. I appreciate your kindness passed on to me. Tiffany, you have blessed me so much with this today! Thank you so much, friend. I accept your nomination and can’t wait to learn more about you and the other bloggers I will pray over and nominate. How fun! Yay!! It is my joy…I’m so blessed by the truths you speak into my life. Can’t wait to read what you share. Hugs, friend! I am teary. Thank you for this kind nomination and sweet read! My maiden name is German Erd…from erde meaning earth. I proudly accept the nomination and will pray about the five blogs to nominate! Thank you again. Now off to pry my boys off of video games for books, prayers, and bed. Yay!! So glad and can’t wait to learn more about you. And the German connection…neat! I enjoyed getting to know you better! I too will have a middle schooler come next fall … so I will be sharing in that season with you!! Thank you for answering the questions so beautifully and honestly! Thank you again, Kim. It was fun to think on the questions you asked! Blessings, friend!